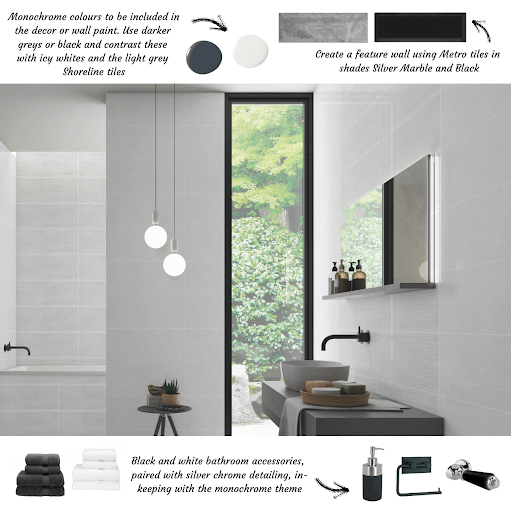 We’re taking you through this new trend and helping you to style a grey bathroom using our newly launched range of bathroom tiles: Shoreline tiles. Grey bathrooms are great for creating a chic and sophisticated look. 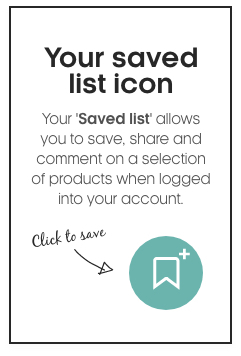 They’re a perfect alternative to a white glossy finish which many homeowners want to avoid to stop their living space looking “boring and basic”. 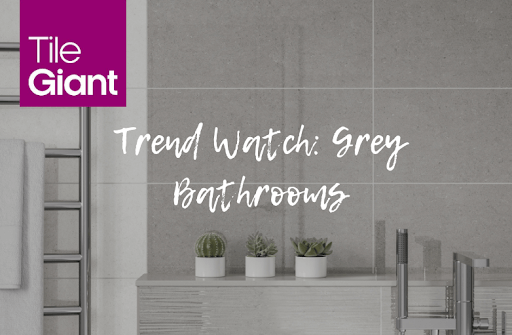 As a neutral shade, you can also pair grey bathrooms with many colours from bright, bold shades, pastel tones or metallic surfaces to create a stunning, statement look that’s far from basic. Depending on the effect you want to create, you can choose a grey that has cool tones or warm tones underlying in the shade. Cool tone greys have hints of blues, lavender and icy whites at the base of the shade. Warmer tone greys have hints of red, oranges and berry purples. Pantone have a tool to help you find your perfect grey shade. It’s great to help you identify cool tone greys and compare these with warm tone greys so you can choose a shade that’ll suit your style and the mood of your living space. For a bathroom space, it’s most common to see the lighter grey shades used. This is because the average bathroom is usually a lot smaller than other rooms within the house and hence, has fewer windows. Tip: Lighter colours can be used to enhance a living space, making it look larger than it actually is. It’s interesting to note that “greige”, a mix of grey and beige, is becoming an increasingly popular shade to add to your home. It’s a great alternative to neutrals that have hints of yellows and warmer tones and can be used to bring elegance to the living space. It’s also recommended by many interior designers that when choosing your lighting, you opt for bulbs that compliment the tone of your room. If you’ve selected cool tone greys, brighter white bulbs will ensure your space is lit to suit the colours you’ve chosen. This helps ensure the decor of your space is consistent and “on theme”, allowing the design to maximise its impact to mesmerise guests and of course, you. Interiors trending on Instagram are often minimalistic and modern interiors. These popular styles each heavily feature grey or silver colour themes to add an extra element of luxury. 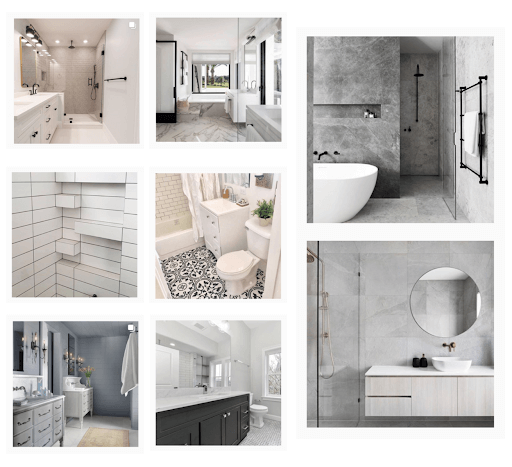 Accounts such as The Grey Interiors, House of Grey London and Into Our Home are ideal accounts to follow if you’re desperate for some more grey interior inspiration or help to create an aesthetically pleasing living space. To expand our much-loved range of textured tiles, we’ve created a selection of grey tiles that feature angelic, brush-stroke detailing: Shoreline tiles. We have a choice of two shades available, White Snow and Pebble. 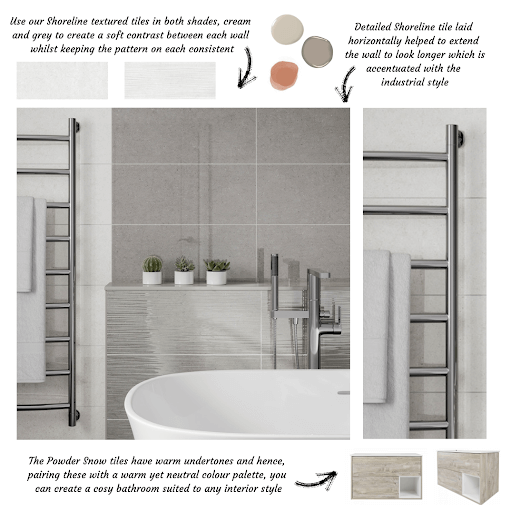 These are perfect for giving you an effortlessly beautiful and delicate look to your home whilst also tapping into the industrial-style that top architects heavily admire. Together, this fair, feathered look paired with the industrial, concrete style, creates such a unique tile that is ideal for captivating your living space like no other. Aside from its aesthetic benefits, the Shoreline range is manufactured from ceramic which has many functional properties. Ceramic is a hard-wearing material that’s great for use within indoor environments that see lots of traffic or changing temperatures such as a bathroom or kitchen. Ceramic also has longevity, meaning there’s no need to replace these tiles after a short period due to any issues with wear and tear. That, and the grey shades within the tile are likely to be popular for a long time making it extremely fashionable for years to come. Opting for a minimal style can create a light and airy bathroom space. By pairing the two shades of our Shoreline tiles, White Sand and Pebble, you can create soft contrasts on the wall to create a simply beautiful space. Use white grout to surround the bathroom wall tiles to create a neat clean finish and airbrushed look to your walls. Add in warmer, creamier tones to match the White Sand tiles by accessorising your room decor. We recommend that any decorative pieces added to the room are only done so assuming they’re practical and a necessity to the space. This will help to keep the room feeling clutter-free, creating the minimal look you’re going for. Tip: Store your bath products like shampoos, soap and similar, in white or grey cabinets to match the tiles. It’s important to make sure that any furniture or storage added is bathroom-friendly. If you want to create a super luxurious space, choosing a monochrome theme is perfect for adding extra class and elegance to the space. A monochrome style involves having mixes of black, whites and greys to create dramatic contrasts on your walls and flooring. Blacks and whites should also be incorporated in the bathroom decor and it’s advised that different materials and patterns are included in the space to add depth and dimension. 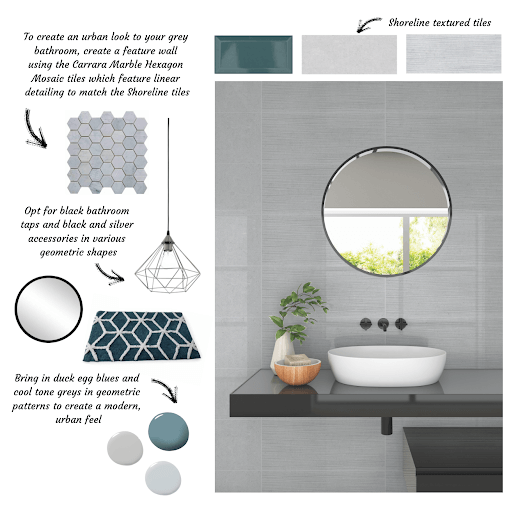 Mirrored surfaces, marble and our textured Shoreline tiles are great for bringing your bathroom to life, without compromising on the beauty of a monochrome theme. With the Shoreline tiles being a rectangular style, we suggest using our 100 x 300 Metro tiles in shades Silver Marble and Black to create a feature wall perhaps above the sink or in the shower cubicle. Using a mix of tiles with various patterns and textures can really bring the bathroom to life. Plus, the intricate detailing in each of the Metro and Shoreline tiles gives your room an extra special element to add that desired “wow” factor. The final way we suggest styling your Shoreline bathroom wall tiles is within an urban interior. As urban design is heavily centred around buildings and architecture, the Pebble selection of Shoreline tiles is perfect to create a grey, concrete effect to open up the space and give it an industrial feel. Pair with subway style tiles, known as our Metro wall tiles, in the shade Turquoise. For an urban interior, we advise that you use them in the size 100 x 200 to better mimic the subway-style effect compared to their longer alternatives of 100 x 300. The addition of turquoise is well suited to the “urban” feel due to it looking like a bubbly, graffiti-style shade, without overpowering the space and remaining neutral. We then suggest adding geometric style light shades, bath mats and smaller hexagonal tiles to diversify the rectangular Shoreline tiles. The sharp lines and geometric patterns are typical shapes seen in city life within the buildings and urban furniture. Select each piece of decoration in various shades of blues and greys to stick to the colour theme. This will help to ensure every furnishing effortlessly coincides with every other feature in the room, transforming it to a bathroom haven. 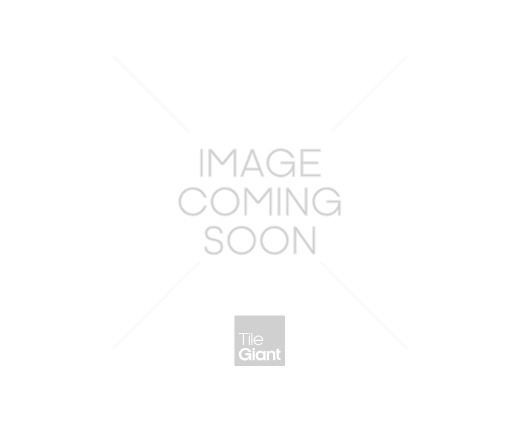 We offer extremely competitive pricing on our entire range of tiles and likewise, our Shoreline tiles are competitive for retail and trade. Our stock is widely available in our 90+ showrooms which are open to browse at your leisure.